Businesses spend a significant chunk of their marketing budget in reaching out to new prospects and capturing their lead. Knowing what kind of customers one should be reaching out to, segmenting them based on purchase intent, navigating them through your sales funnel, and converting them can be incredibly complex and frustrating. Customer Relationship Management (CRM) tools have taken off in a big way over the past decade and a half. 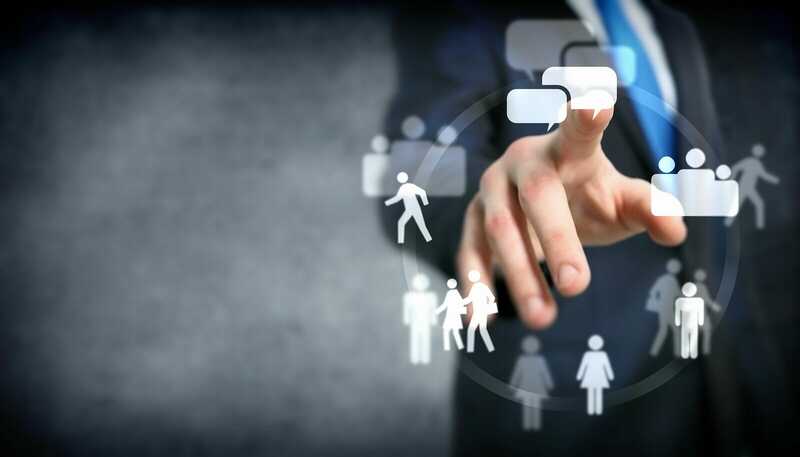 Some tools like TeamWave have enabled businesses to sync customer relationship management with other aspects of business like project management, time tracking and contact management. A number of other CRM tools have also enabled businesses to considerably automate the various components of relationship building. This includes tasks like identifying prospects, extracting their contact details, initiating outreach, and also ensuring periodic engagement. Automation, as it exists today, is a great solution to problems that involve standard, repetitive behavior. For example, extracting email address from the ‘Contact’ page of a website and populating it in your CRM database is a task that can be easily automated. However, this is not adequate for a number of other scenarios where a decision needs to be taken. Figuring the right time to reach a prospective client can make or break your outreach campaign. Deep learning tools can assist marketers in predicting future events based on past user behaviors. For instance, an ML-equipped CRM can dig through customer buying patterns to identify the right time to resell your product to an existing customer or propose a cross-selling product to a customer who has previously traded with you. The best part about this is that none of this needs to be hard-coded by your business. Machine learning would enable your CRM to benchmark its performance and learn lessons that can then be incorporated into future campaigns. It’s an iterative process. There are a number of different reasons why CRM software applications will have machine learning and artificial intelligence incorporated into them very soon. Firstly, marketers have been deploying sophisticated new tools to capture prospect information, validating them and assessing their purchase intent. Digital media and IOT generate millions of data points for each user that can render highly precise information regarding a prospect’s user behavior and buying intent. Sifting each of this data point with a pre-coded algorithm may not work. Machine learning helps an application learn to piece together information that is useful to a marketer. A happy by-product of AI/ML is also an increased level of customer satisfaction. A CRM application that uses consumer behavioral patterns to build outreach strategies is less likely to rely on a ‘spray and pray’ approach. The intended targets are less likely to receive sales calls when they are not in the market for a product. Similarly, the cross-sells and resells are likely to be more targeted and this brings down the spammy nature of sales calls. In effect, prospective customers tend to welcome sales calls and the conversion rates too go up significantly. An efficient CRM solution is the lifeblood of any business organization. The role of AI and ML here is to make the process more sophisticated and remove the kinks that bring optimization down. More importantly, it drives a sales process that is less geared towards segmentation based on customer similarities, and instead focuses on the uniqueness of every customer and how that can be used to build a strategy that appeals to them.